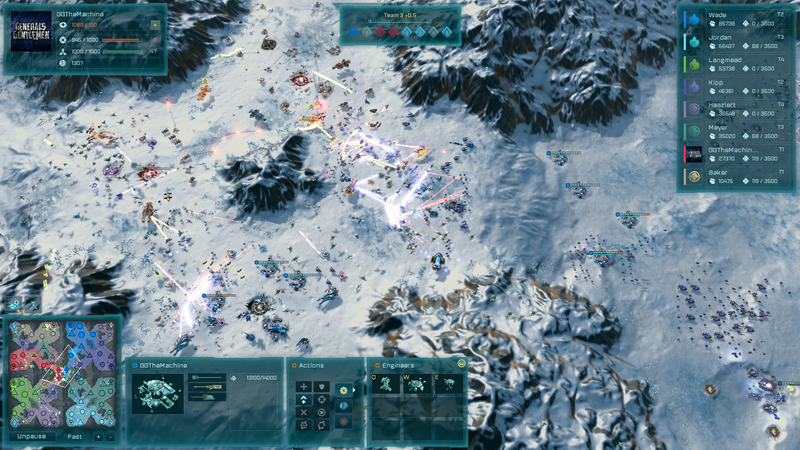 Massive v2.2 Update for Ashes of the Singularity: Escalation is Now Live! New features, updates, and adjustments have been made. For a full list, see the change log below! You've been asking, and here it is! 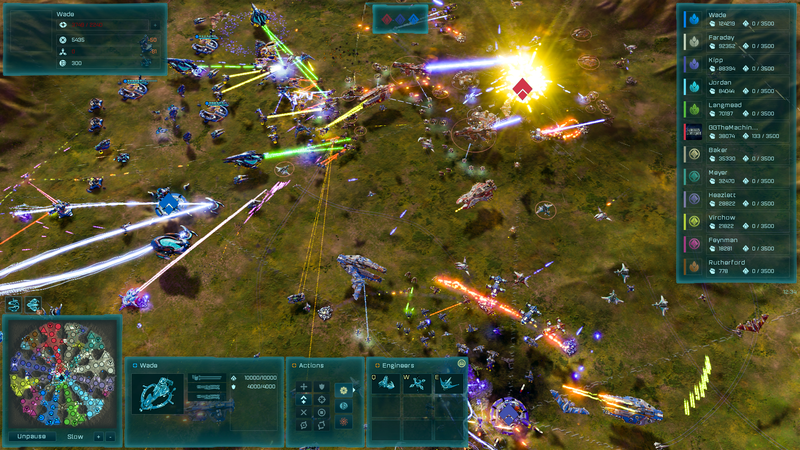 The game replays remove the fog of war so that you can see absolutely everything that went on during your game. Scope out what your opponents were building and how they were laying out their strategy and find out where you went wrong - or where you went right! Up to 3 replays will be automatically saved, but you can change the settings in order to save as many games as you like. Callum McCole of General's Gentlemen has joined the Escalation team and made some pretty extensive updates to the game's balance. In addition to adjusting many of the units for both the PHC and the Substrate, he has altered some of the core gameplay values in order to make the game more accessible. This includes refining the counter system, increasing strategic diversity, weakening "cheese" strategies, improving game flow, and much more! If you're curious about the details, you can find them in Brad Wardell's dev diary here. Modders, rejoice! We have added the ability to mod game files, add maps and scenarios, and enable/disable mods for your game. You can see full details in our Modders Guide! v2.2 adds three new maps. 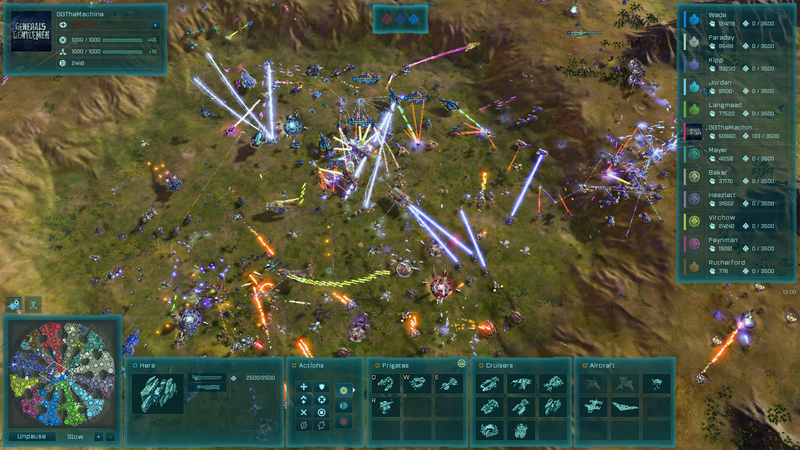 Manannan, a 12-player Terran map and Aenghus, a 10-player desert map, are both excellent for free-for-all games. Brighid is a smaller arctic map meant for 8 players and is ideal for a tightly enclosed 4v4 or a more widely spread game of 4 teams with 2 players each. we want to hear from you! Join the conversation over at Steam. For more information on v2.2, check out the full change log below! Replays- Watch a replay of your game, or go into the leaderboards and watch games from the top players. Modding Support- We have added the ability to mod game files, add maps and scenarios and enable and disable mods for your game. For all the details checkout the Modders Guide. New Maps- 3 new large maps added to support lots of players. Radioactive and Metal desposits without mines now show as grey in strategic view to make it easier to see which one's haven't been upgraded yet. Are there any changes from the beta, or is this essentially the 2.2 beta? really liking the changes so far! Found a bug in the campaign Imminent Crisis. 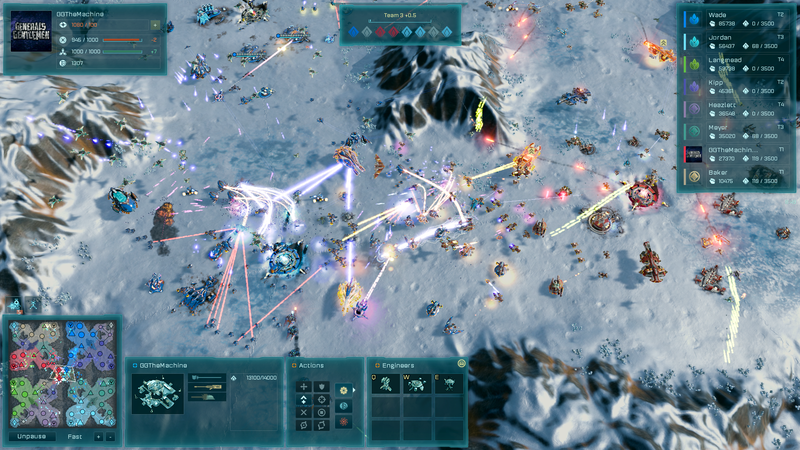 Which is that when playing on any of the missions that have AI partners (Mac and others) you start to capture a resource node the AI teleports a sentry formation in. Then neither get the node because both are trying to capture it. 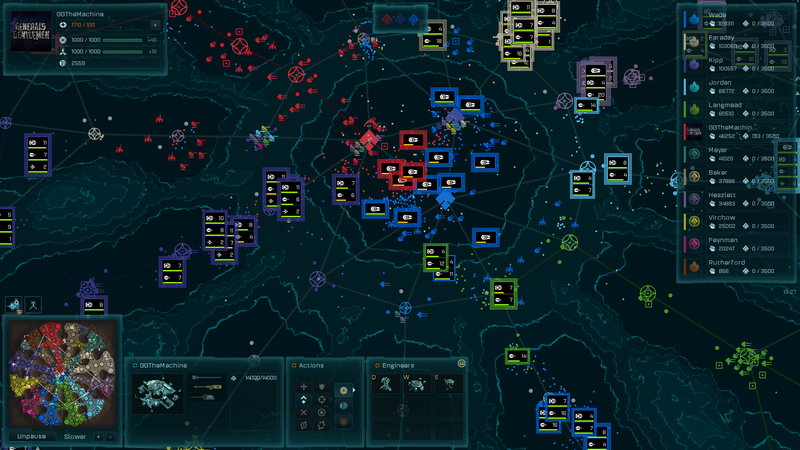 I spent 5 minutes game time trying to capture one node with army of over 50 units against one sentry formation. Neither group could capture the node. I tried to log in to support but for some reason I can't login. I got the game from gog.com. and can't seem to register the game to my account. Thank you.